Readers panel: Should families be encouraged to witness resuscitation attempts on their loved ones? Giving families the choice to witness resuscitation attempts is in the spirit of openness and family-centred philosophy. But it is not for everyone and the team culture could influence the success or failure of such an initiative. Teams should have nationally and locally agreed protocols in place in the event of an arrest, and each situation should be carefully assessed. This should be about choice rather than encouragement because witnessing an arrest could do more harm than good for some families. I instinctively feel that this is a bad idea. 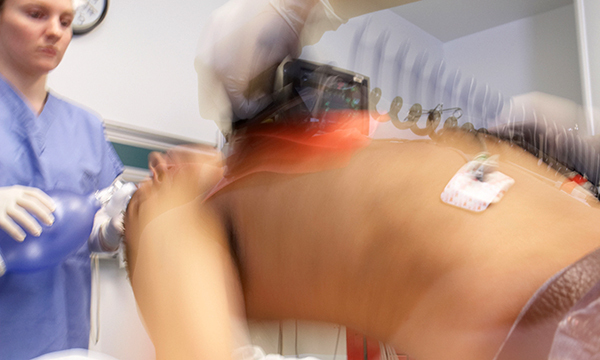 Family members who are present for unexpected resuscitations are often hysterical or left completely traumatised. The flurry of action and number of people suddenly present can be overwhelming, and the brutal reality of resuscitation is generally unexpected and shocking. However, if the evidence suggests this can improve outcomes for family members and help them achieve closure, it may be appropriate in some cases, provided they are carefully vetted. With families increasingly involved in care decisions, it is understandable that some will want to be present when we are fighting to save their loved one’s life. Provided the family is properly supported, I see no reason why this option should not be given, but in environments where arrests are rarer it might be harder to provide the appropriate level of support. This will not be for everyone, but, for a person-centred and evidence-based approach, it is important to give people the choice. The Nursing and Midwifery Council code says we should encourage and empower individuals to share decisions about their care, so we should promote the option of family members being able to witness resuscitation attempts when appropriate. But nurses need to know how to assess a family member’s suitability to witness resuscitation, and employers must provide training on this. Policies to standardise the support provided to family members who choose to witness resuscitation attempts also need to be implemented.